This is an important document, not least because what is actually captured on these discs is the first performance of this work since 1772. The score is presently housed in the archive of the Berlin Sing-Akademie after its discovery in the Ukraine. C.P.E.’s version of the Christ story is a dynamic one, with plenty of drama and much interaction between the various soloists and the chorus - a chorus that represents the Jews as well as performing the chorales. C.P.E Bach moved to Hamburg in 1768 and was asked to perform the prevailingly popular “Old School” passions in the city’s churches. 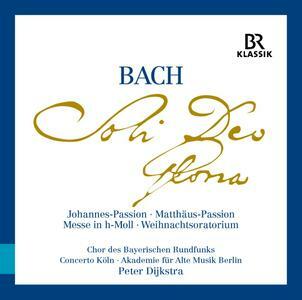 Bach himself hadn’t been sure whether Hamburg preferred passions “in the historical and old fashion with the Evangelist” as he wrote in an anxious letter to Georg Michael Telemann “or in the fashion of an oratorio.” The answer was the former; the latter, the more modern way, involved contemporary texts. 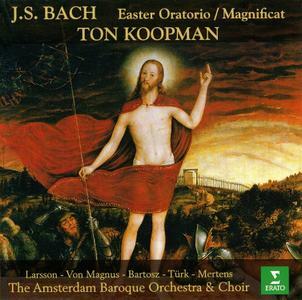 Bach's celebration of Easter is a mostly joyous one, opening with a three-movement sinfonia, richly orchestrated, and complete with trumpets and drums: the third movement includes the chorus inviting listeners to rejoice and hasten to the tomb of Jesus, "For our Savior has awakened." There follow recitatives and arias for Mary Magdalen, Mary, the mother of James, Peter, and John. 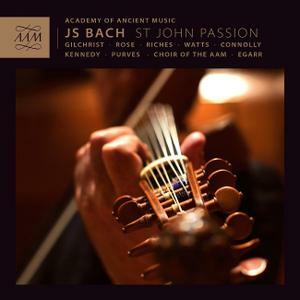 Each character goes through grief to love and gratefulness, and Bach's endlessly inventive scoring, melodic lines, and changing orchestral textures take us on a rich, 40-minute musical journey to peace. Only a too-long soprano aria tends to wear. 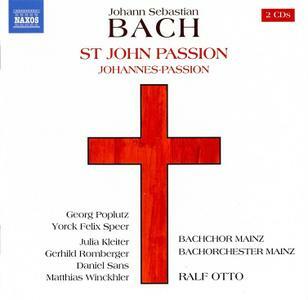 There's a long-standing debate over the issue of OVPP (one voice per part) in performing Bach's choral works. 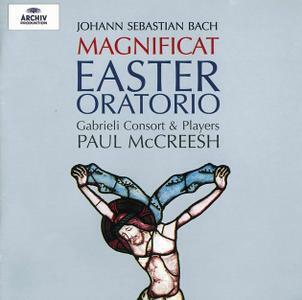 On this disc, it works better in some choruses than others–for example, it lacks the majesty that a choir can bring to the start of the Magnificat's Gloria. As to the individual voices, in the oratorio's two big arias, soprano Kimberly McCord sings with beguiling poise, though some may find her vibrato a touch fidgety; while Paul Agnew's moving singing of the heavenly tenor aria reflecting on Christ's grave-clothes has bags of intensity, though line and focus occasionally suffer. Neal Davies's forthright bass makes the best impression. Das im Jahr 2010 begonnene Bach-Projekt mit dem Chor des Bayerischen Rundfunks unter Leitung von Peter Dijkstra findet seinen Abschluss mit der Gesamtaufnahme der Messe h-moll, die im April 2016 im Herkulessaal der Münchner Residenz aufgenommen wurde. Damit umfasst es nun die vier Gipfelwerke Bachs – die drei »protestantischen Oratorien« sowie die »große katholische Messe« – in einer herausragenden künstlerischen Qualität, mit renommierten Vokalsolisten und begleitet von hochkarätigen Ensembles der historischen Aufführungspraxis: drei Werke entstanden in Zusammenarbeit mit Concerto Köln, ein weiteres mit der Akademie für Alte Musik Berlin. There is hidden treasure here. 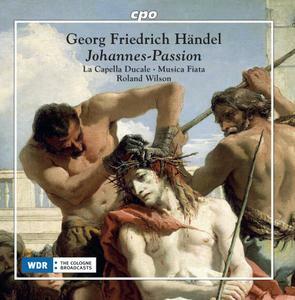 Gottfried Heinrich Stölzel (1690-1749) has long lain in the shadow of Bach and Telemann, but if there is any justice this recording of his setting of one of the popular passion texts of the early 18th century will go far toward effecting long overdue recognition. 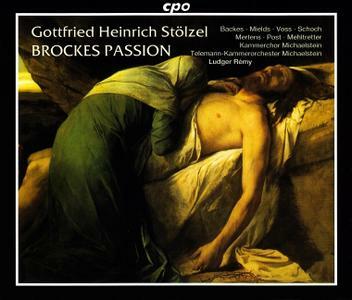 Composed in 1725, it follows in the wake of a number of other versions of the poetry of Barthold Heinrich Brockes, most notably that of Handel, whose comparitively second-rate work pales into near insignificance when set beside the power and vivid immediacy of Stölzel's great drama. This Passion text is short, beginning abruptly with Pilate's scourging of Jesus. 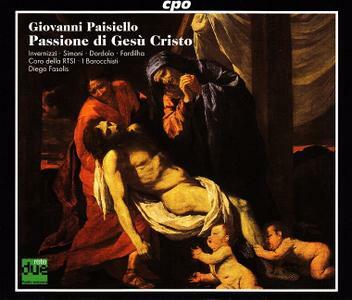 It continues in a strikingly short-winded way — fragments of recitative lasting a few seconds, brief ariosos, choruses, including one on a single word, 'Crucify!'. 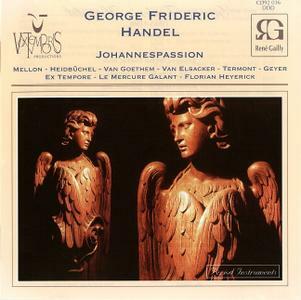 It lacks chorales: Heyerick has borrowed some from Handel's later Brockes Passion. 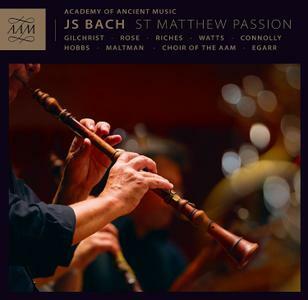 The music is a jewel-box of small-scale gems, further polished by the quality of the performers - six finely focused solo voices, a transparent choir of 18, and delicate, one-to-a-part strings with pairs of recorders and oboes, a bassoon and continuo organ. 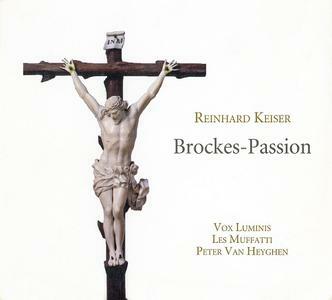 ..The least familiar work in this issue is the “Brookes“ Passion (the second of two by Handel in that form), so-called because one Barthold Heinrich Brockes, a Hamburg dignitary, supplied the text: a dramatic poem entitled “Der für die Sünde der Welt gemarterte und sterbende Jesus.“ I can claim no fluency whatever in German, but respected critics have deplored its hyperbolic verses. Nevertheless, it was quite popular in its day. 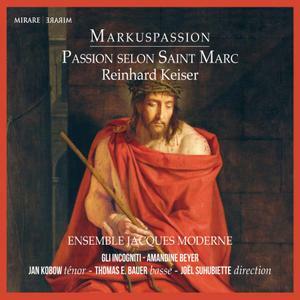 Public and private readings were common, and it was set to music not only by Keiser, Mattheson, and Telemann (even Bach set parts of it) but by a number of lesser-known composers as well.